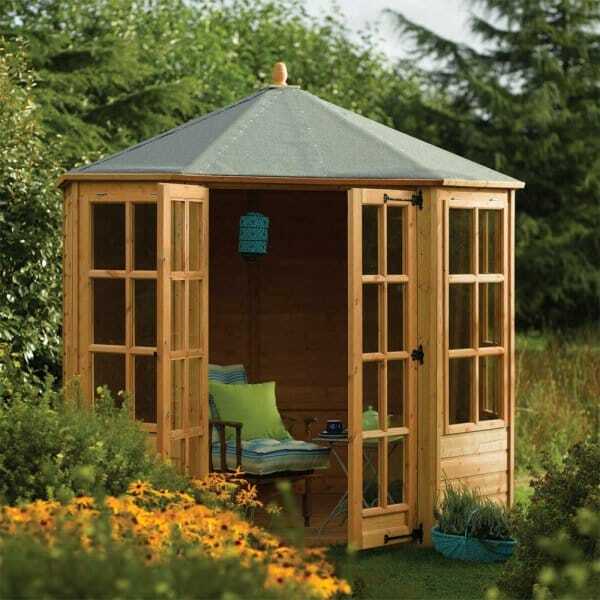 Rowlinson Ryton 8x8 Octagonal Summerhouse: A lovely 8 sided summerhouse which would be an impressive feature in any garden. The unusual octagonal shape offers an attractive alternative to the traditional square, rectangle or round garden rooms while still offering a great deal of space. One of Garden Chic's best sellers! Showing our 2 Rowlinson Ryton Summer House 8x8 reviews with an average rating of Excellent. Would you like to write a review? Review - What a great product at a great deal. Delivery was good no mistakes or missing items, couldn't be happier. What a great product at a great deal. Delivery was good no mistakes or missing items, couldn't be happier.